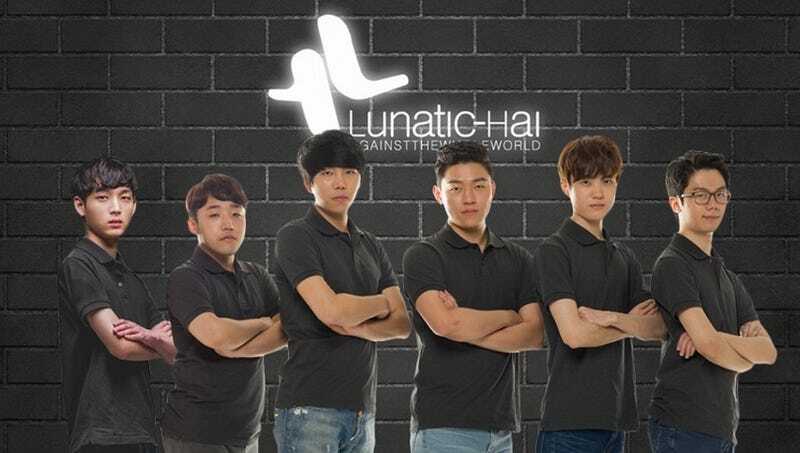 This week, reports out of South Korean have two players on esports team Lunatic Hai at the center of a scandal. According to Inven (via tipster Sang), the whole things began after a post appeared, with the writer claiming she had dated a pro-gamer and mentioned Lunatic-Hai player Lee Tae Jun when asked to name names. Lee reportedly denied anything of the sort, saying there is a line between him and his fans. Only later, after photos of him with female fans surfaced, did he confess. As Dot Sports points out, this has been seen as breaking trust between fans and the team. Around that same time, it seems, female fans began uploading messages they’d received from Lunatic-Hai’s Geum “dean” Dong-geun of him asking to meet up in person. Hello. This is Lee Tae Jun from Lunatic-Hai. I am writing to you apologize for the incidents that are being discussed on several community websites. I did contact couple of fans through social media during the past few months. First of all, I would like to deeply apologize to the people that have exchanged messages with me. My adolecent actions have caused deep hurt, and I truly apologize for them. I would also like to apologize to my fans who are hurt by my actions. I know my fans have genuinely cheered for me, so no words can describe how sorry I am. I am very sorry. And I would also like to apologize to my teammates and staff. I am very sorry. I’ve learned a lot from this incident. I am going to take time off to reflect and think deeply about this. I promise that this will never happen again and will be cautious with my actions. Once again, I am very sorry. Hello. This is Geum Dong-geun from Lunatic-Hai. I contacted my fans and asked them to meet privately and asked for photos. I confess that I did this many times before being caught. It’s an action that was not appropriate as a professional gamer and I am embarrassed and regretting this as I knew contacting fans through social media continuously does not look good for the staff and teammates. I always thought that I shouldn’t do this, and is not appropriate for my position. But I couldn’t hold myself back and resulted in this. I deeply regret contacting fans privately several times and sorry about my actions causing harm to the fans who love us and my teammates. When I first got caught, I didn’t think it was a big deal, but as I am writing this apology, I am realizing how naive I was. I also apologize to the people I caused harm to, such as the fans who believed in me and to the staff and also teammates for the harm I’ve caused. Inven, tipster Sang adds, reports that one of the female fans Geum asked to meet was underage. Based on Geum’s apology, however, it sounds like he tried asking female fans out and for photos, but never actually meet them in person. Both players have been benched by their teams as punishment. Both Lee and Geum are not allowed to play in the current Overwatch APEX Season 2, which began last month and ends this April. Moreover, neither player can participate in any team activities during the next two months.